So I wanted to create something unfamiliar with this great heroine the Wonder Woman for her new origin movie. 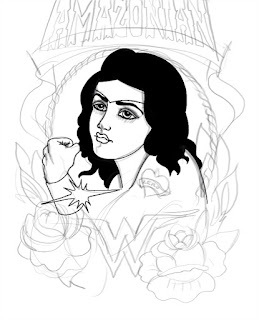 I scrolled over at @pinterest to seek the traditional tattoo style they are doing for Wonder Woman. But there is not much there, that is why I thought I could make something new. My design process usually starts with a little inspiration from watching the trailers, posters that studio releases. I then make small sketches with ideas. The sketching started pretty rough and then I went on to get it scanned and placed in photoshop for more digital sketching. I tried to fill the negative spaces with black and work on the colors starting from the inside. I muted the colors to give that retro 1920s look. I based some of the design details from the trailer itself, like the crashing plane, her sword and the boat. 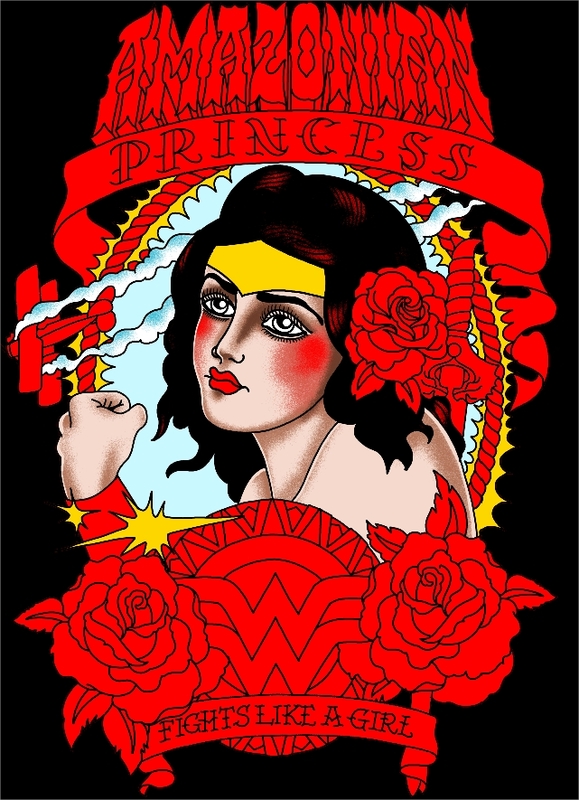 Even her new shield got that traditional tattoo feel. The design came out more of a poster like than for a shirt. But I am very much pleased with the result. I also added that quote "Fight like a Girl" just because it sounds cool. It looks so vintage and so nerdy at the same time. Love it! Love looking at tattoo blogs. Everyone is just so creative. Im jealous!